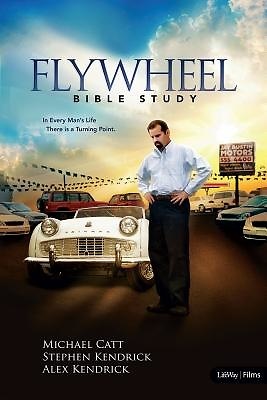 Flywheel Bible Study - Member Book is a four-week small-group Bible study driven by the characters, events, and circumstances in the movie Flywheel. Using movie themes and group interaction, this four-week study will challenge your group members to evaluate their connection with Christ, strengthening and revitalizing their own stories along the way. The member book also includes leader helps and icebreakers to enhance your small-group experience.